Yetowl are large, heavy avian monsters. They are somewhat uncommon, found in only the deepest of forests and in small numbers. Their lumbering figures and watching eyes reflect the canopy light, creating a frightening sight for those that have strayed from the path at night. Stories of large brutes lurking in the forest have spread wide and far, producing many myths and cryptic reports in fringe communities. 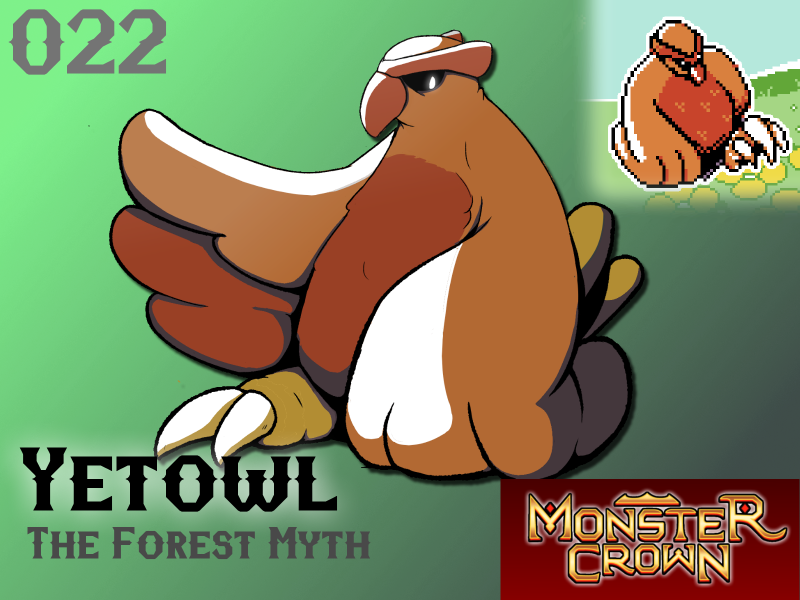 Yetowl are herbivores and do not target humans, however, they have been reported to show an unusual speed and wrath if provoked by a monster of comparable size. Foes pulled close and shrouded within their heavy wings - no longer useful for flight - seem to be overcome quickly, and fall into an unconscious state. This does not seem to be the result of crushing or suffocation, and is currently a matter of research for veteran Tamers. Will Yetowl make your team?